Alfa Romeo is carrying the emblem since the very first victory of its ten Targa Florio wins. To keep the benchmark legacy alive in its distinct way, company introduces its all new designed Alfa Romeo MiTi Quadrifoglio Verde 2014. Hearing from the company, model is equipped to represent the company’s pursuit of excellence and to make it sustain well in competence with the rest in lineup. 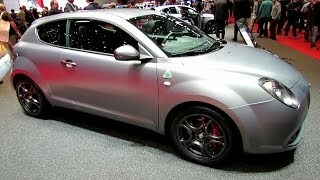 Let us have a closer look at the review of Alfa Romeo MiTi Quadrifoglio Verde 2014 to know it better. 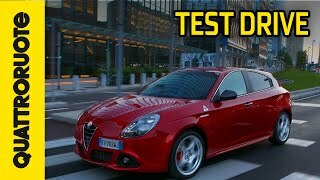 Getting into the interior of Alfa Romeo MiTi Quadrifoglio Verde 2014 you’ll notice a leather trimmed flat bottom three-spoke steering wheel featuring contrast stitching in white and equipped with paddle shifters for its TFT transmission. The instruments inside Alfa Romeo MiTi Quadrifoglio Verde get gorgeous Quadrifoglio Verde logo while the handbrake and gear lever come worked in black leather stitched in white. Dashboard looks beyond match with its carbon looks while the floor mats this time gets a special attention and company logo adored aluminum kick plate. For your comfort is loaded height adjustable sports seats for the driver giving perfect command over the ride. 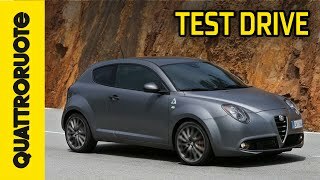 Talking about tech features inside Alfa Romeo MiTi Quadrifoglio Verde 2014 you have a Uconnect TM five-inch touch screen multimedia system supporting satellite navigation, digital radio text reader, voice controls and other important features. 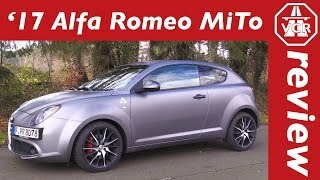 Looking at the exterior of Alfa Romeo MiTi Quadrifoglio Verde 2014 taking the entire gleam is burnished finish all across the door mirrors, handles, headlight surrounds and yes the front grille. While at the rear the same trend mark its entity over bumper twin chrome exhaust pipes and 18” alloy wheels equipped with red Brembo brake calipers. Rounding up the entire exterior of Alfa Romeo MiTi Quadrifoglio Verde 2014 the fog lights with dark surrounds in front and the rear sports bumper with twin chrome tailpipes at rear are sufficient to compliment your presence while rolling this all new release. The Alfa Romeo MiTi Quadrifoglio Verde 2014 brings beneath its hood a 1.4 Liter MultiAir Turbo Petrol Engine generating total output of 170 hp and peak torque of 250 nm paired to ALFA TCT twin dry clutch transmission. 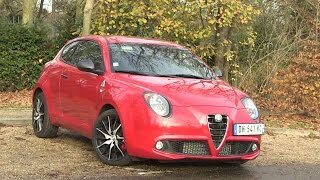 With this power rolling the entire vehicle Alfa Romeo MiTi Quadrifoglio Verde 2014 top speed touches mark of 136 mph while the 0-62 mph sprint gets knocked in just 7.3 seconds.